This Gem could be your Ruby Red slipper! 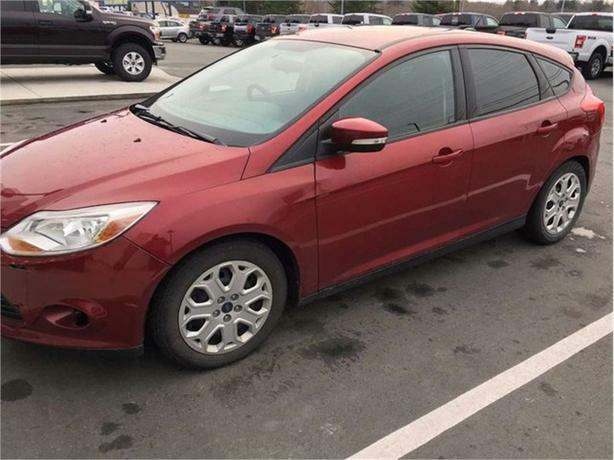 This 2014 ford focus in this beautiful ruby red could definitely be your ultimate ride down that yellow brick road. With its great price and good KM this car is a steal, with its 1.6lt, FWD engine your fuel efficiency will be outstanding, also add on there some great luxuries like remote keyless entry, digital memory controls, CD/AM/FM/Satellite-prep, Bluetooth with voice activation, back up cameras with parking sensors, and cruise control with steering wheel controls, now these are just some of the great option this car comes with, and all for under $10,000. Come down to Steve Marshall Ford just across the bridge in Campbellton, check out this stunning little car and take it for a spin. Our sales team would be more than happy to help you find the right fit. All our vehicles go through a full 103 point inspection, and then get fully detailed to sparkle just for you!